Advisors ready for 'assisted suicide' clients? A Supreme Court of Canada decision to allow physician-assisted suicide will force advisors to step their game up as they work with clients for end-of-life planning, Shafik Hirani, a wealth advisor with Investors Group said in an interview with WP. The wealth advisor, who is based in Calgary, also said the government is targeting a tax base with the move and quoted the great philosopher and thinker Aristotle in his explanation of the move. His comments come after the Supreme Court of Canada declared the criminal prohibition on assisting suicide unconstitutional, a historic decision that adds yet another component to the way advisors handle not only retirement, but end-of-life and succession planning for their clients. 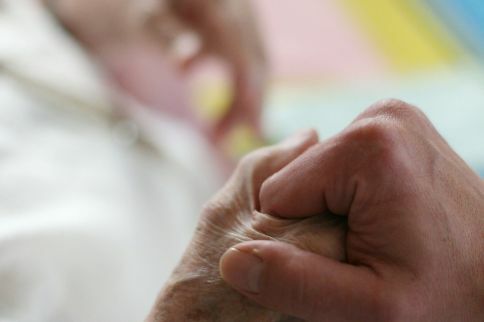 However, Scott Plaskett, an advisor with Ironshield Financial Planning, said that it’s not something he would bring up to his clients unless one of them saw it as an issue because it’s hard to foresee and there are religious hurdles to overcome in relation to end-of-life planning, he said. The law was struck down as a breach on the Charter of Rights and Freedoms, but now as clients gain the right to assisted suicide, advisors will have to step up and be preventative instead of reactive, Hirani said. “Financial planning must be treated like preventative-health. Health is too often reactive. Financial planning must not be reactive. It must be preventative,” he said. AJ Chase, a wealth advisor with Scotia McLeod, has seen his fair share of cases like this over the last several years working in the industry and said that it’s an advisor’s duty to prepare for any situation, regardless of if the clients brings it to you or not. “An advisor should ask their clients to review their current POA, and make any necessary adjustments, especially if the ruling becomes law. “It could eventually be an advisor’s duty of care to broach the subject of advanced care directives in the legal power of attorney (POA),” said Chase.